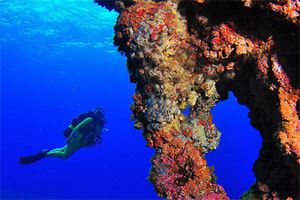 Island with important tourist attractions, such as a unique scuba diving spot at a nature reserve. 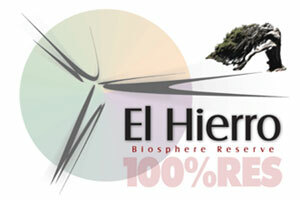 El Hierro Island is a biosphere reserve since 2000. 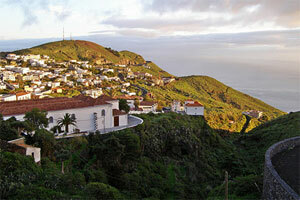 El Hierro will become officially in 2014 the first island in the world to be energy self-sufficient, with a hybrid wind/pumped hydro storage system. 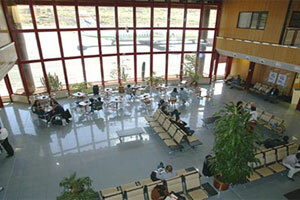 This system has become a tourist attraction itself. 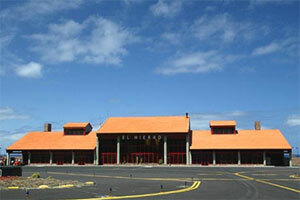 El Hierro is the first “smart island” in the world with free wi-fi everywhere. 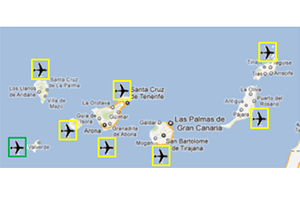 The map shows the population living close to El Hierro Airport (the one in the green square) and the nearest Aena’s airports in the area. 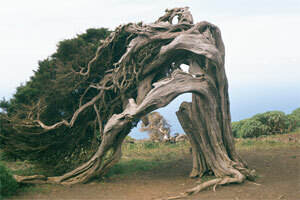 El Hierro is the smallest of the Canary Islands; eco-tourism is a particularly strong possibility. 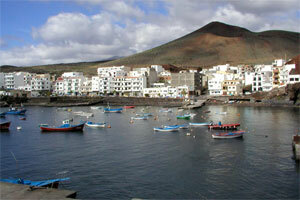 There are 2.1 million people living across the Canary Islands, while 10,679 people are living in El Hierro. 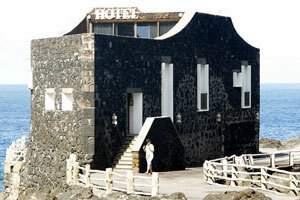 Eco-tourism could soon been the biggest attraction to El Hierro as the smallest island in the Canaries moves to being completely energy self-sufficient through the use of renewables. 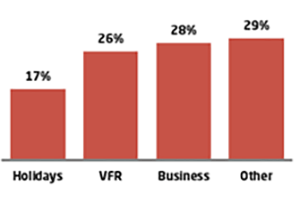 For freight opportunitie, click here. 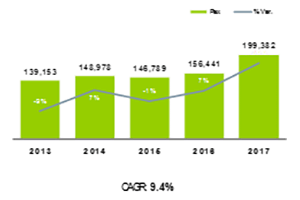 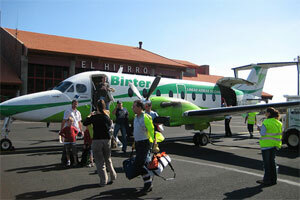 With growing tourism demand and higher propensity to travel, El Hierro airport is keen on developing its route network further. 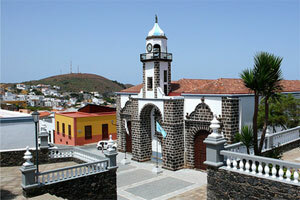 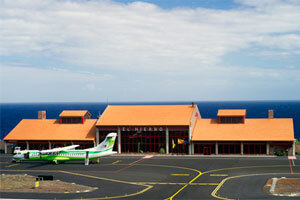 El Hierro Airport is located within the city limits of Valverde, the capital of the island. 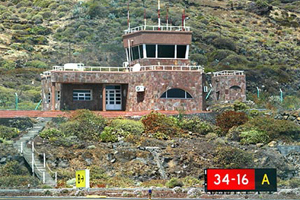 Its access road connects the airport with the HI-2 (between Valverde and Puerto de la Estaca). 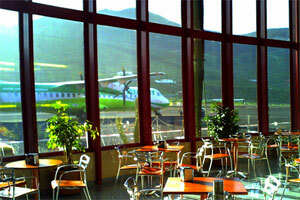 Operating hours: Summer 07:10-17:00 (Excl. 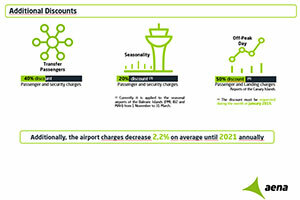 Jul, Aug and Sep 07:10-18:00); Winter 08:10-18:00. 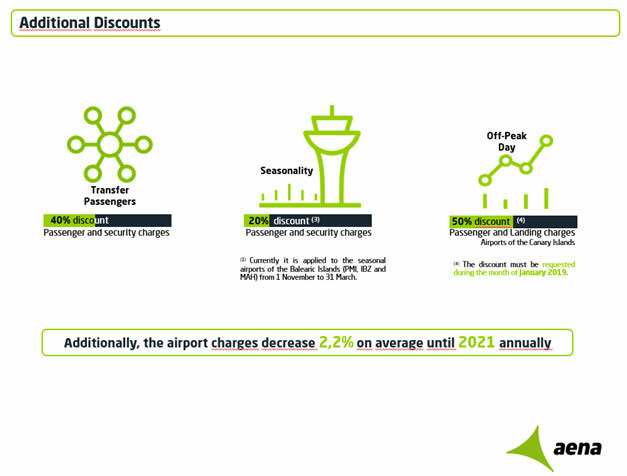 Passengers (commercial): 198,803 domestic passengers. 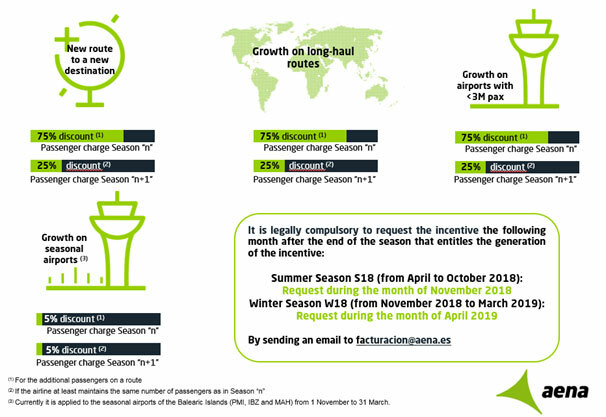 Air Transport Movements: 100% scheduled flights.